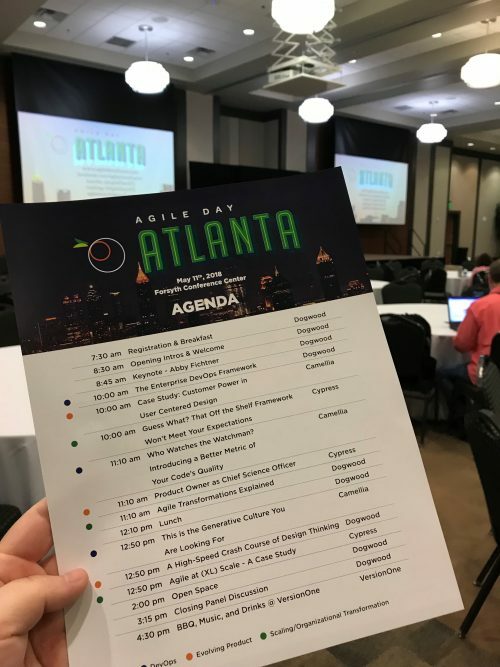 Agile Day is a one-day agile conference with the goal to continue promoting agile methodologies in the Atlanta market. The aim this year, is to provide sessions and workshops for the agile workforce featuring a mix of Agile Transformation & Agile at Scale, DevOps practices and methods and Evolving Product. Depending where you look, what you know and who you talk to you might get a diverse definition of agile. Its not a one size fits all approach. Until recently, agile was a set of management practices relevant to software development. But, it’s not 2001 anymore and agile isn’t limited to software development. Its spreading rapidly to all parts and all types of organizations and individuals. Agile enables organizations to master continuous changes. This methodology is necessary for companies, yet most companies have a deeply embedded organization architecture and culture. Senior leaders or “coaches” are needed to make this transformation. Why are we transforming? As a company, you need to set reasons and goals on why you think it is important to go agile. Again, it’s not instant – going agile is a process and it is different for each organization. These are some of the most common goals of why companies want to “go agile”. The organizational structures of large companies are constantly shifting. With this, comes change in many ways, including role names. If you work within an agile environment you will notice that you work with an Agile Coach in more situations than you would work with an “Agile Manager”. The Agile Coach is experienced in implementing agile projects and has the experience to share knowledge with the project team. They are responsible for providing feedback and advice while creating teams who want to perform at a higher level. 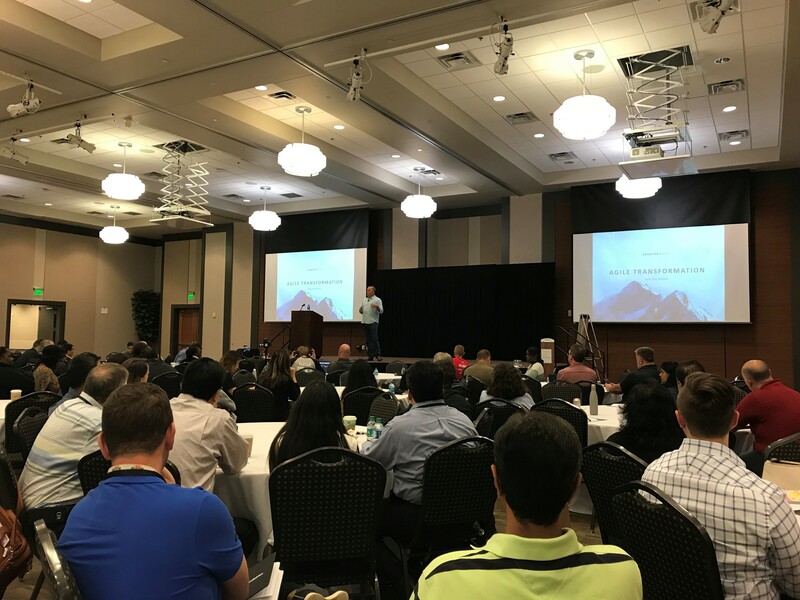 Here is a quote from one of the Agile Coach attendees who attended the Agile Day Atlanta event when asked how the day was: “It was fantastic getting to be a part of Agile Day Atlanta again this year. This was my 3rd year attending and it was exciting to see they added 100 more tickets and still sold out making this the largest one of these events ever! It’s clear there’s a lot of enthusiasm for agile across the city, and based on the conversations I got to have a lot of success stories to share as well!” – D. P.
We have multiple Agile Coach opportunities currently available. Apply for our Agile Coach opportunity here. Filed under: Blog, Candidates, Clients, Events, GSquared. 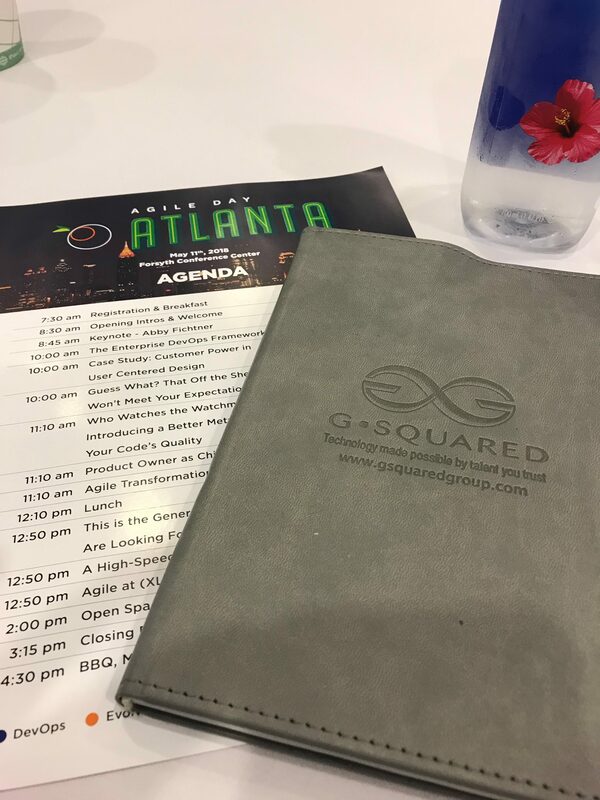 Tagged with: Agile, Agile Day, Alpharetta Staffing Companies, Atlanta Staffing, Information Technology, IT Recruiting, IT Staffing.